In the 5th month and 6th month, solid feeding was restricted to only twice per day. 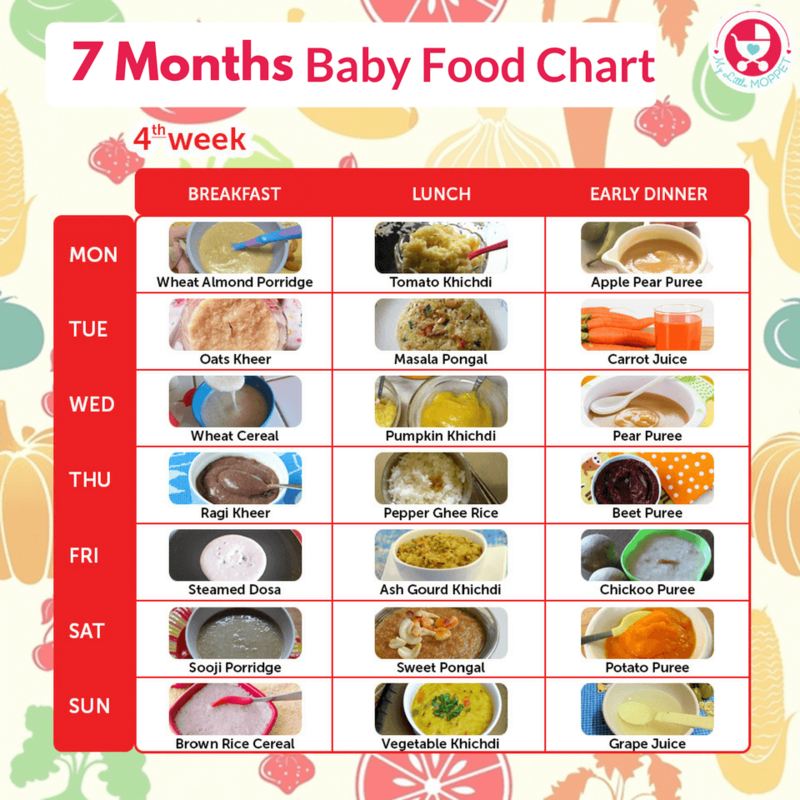 By the time your baby completes the 7th month, she would have already sampled most of the foods and can take solid feeds thrice a day. This is the time where you should introduce a lot of varieties in her diet, as she will become easily bored with the food and play becomes more evident. Introduce her to an array of food in a playful way so that she enjoys her food. With the same ingredients flavor the food items artfully so that meal time becomes a pleasure time. If you possess all the below items handy, making food for your little one will be over in a jiffy. A baby food processor contains all the requisites for making baby food like sieve, masher, cups, spoons, juicer, grater etc. You can also use utensils you are already using but take care to sterilise all the utensils properly before feeding the baby. Check out the Food Processor collection Here. Check out our detailed guide on High Chair vs Booster Seat. We also share the list and features of baby feeding chairs popular with Indian mothers. 2. The quantity of each feed in this month will be roughly the size of your baby’s fist and in terms of liter around 90 to 100 ml. 3. The consistency can be little thick and should stay in the spoon without spilling off. 4. While feeding juice varieties, limit consumption to 4 – 6 ounces. 5. Always feed a baby seated and not in sleeping position. 6. Sterilize all the utensils that are being used for cooking and feeding. 7. Please follow the 3 Day Rule before introducing any new food. I have structured the charts in such way that the baby is gradually introduced to heavier diets, so I would advise you to follow the same order. 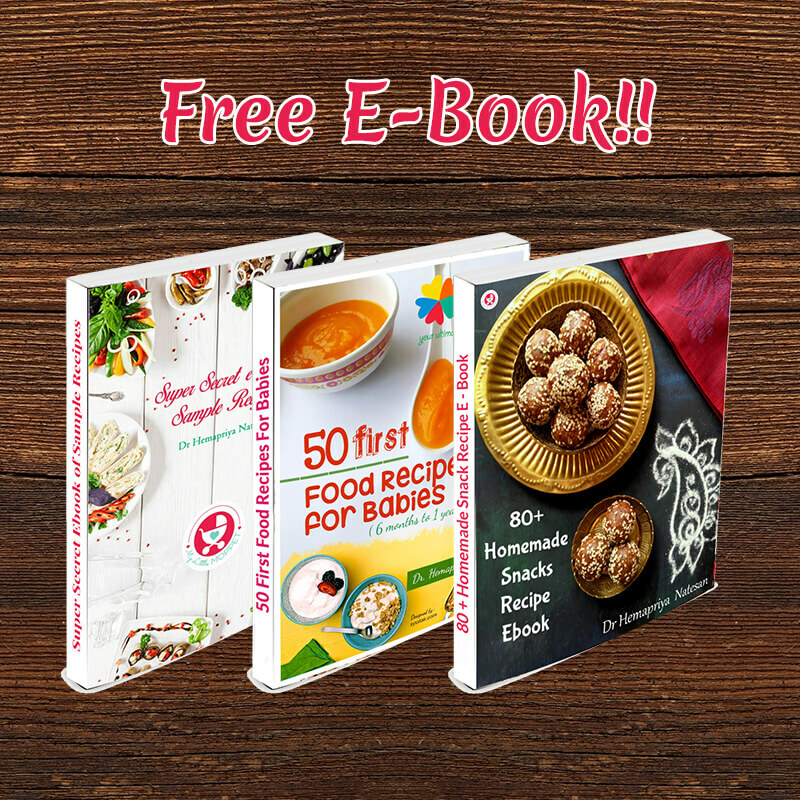 Have you downloaded our Free E-Book on 50 First Food Recipes for babies? If not click Here to download. Disclaimer: The information presented here is meant as a guide and does not replace professional medical advice. You should always discuss your baby’s dietary requirements with your doctor. Thank you for this wonderful meal plan. I would like to know is it okay to include salt, sugar, ghee and spices in 7 months old baby meal? As I could see pongal, ghee rice in the list. You are most welcome. Please avoid salt and sugar while preparing for babies below 1 year. Ghee and little of the given spices can be added as per the guidelines dear. My baby is 191 days old … Means 6 months completed . Should I follow the 7 months chart or 6 months chart ? 6 months food chart has to be followed dear. Hi mam. I am also a new mommy. I have started feeding solids for my 6 month old baby. All your recipes are very gud. Why we should not add water for Apple or carrot puree and should add breast milk or formula milk. We give water also few spoons after boiling and cooling. Thank you dear. Water can also be added to the puree but adding breast milk or Formula milk can make the recipe more convincing as it adds the taste of familiarity to your child. Hij mam… al ur recipes are good and easy..can i u guide me for 6 months old? Brown rice is a healthy option dear. You can carry it forward. Every new food has to be introduced individually and 3 day rule has to be followed. Please avoid cow’s milk till baby turns 1 year of age. Welcome 🙂 It has recipes too. Kindly click on the recipe name to get the recipe link opened. Both can be given for your baby 🙂 Baby’s gums are strong enough to munch basic foods. 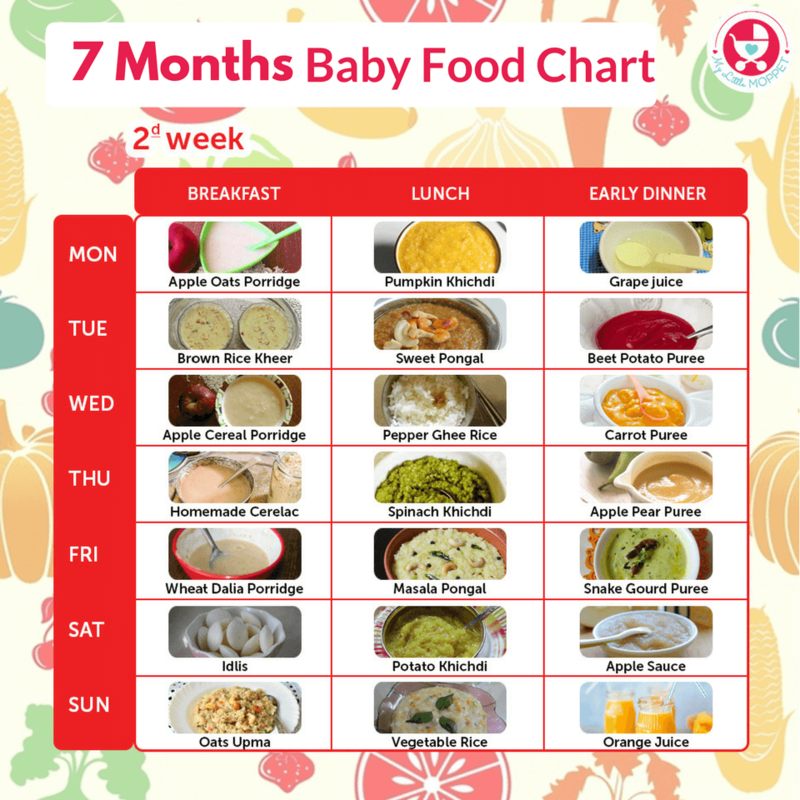 Hi, my baby is completing 7 month pls suggest me indian food chart. Currently m giving her 2 times ceralac – mid day & in night. Shall i give her 3 times also suggest me food chart. The below given link has the Indian food chart for a 7 month old baby. For idli n dosa what side dish we can give. Currently am giving with moong daal with carrots . what else i can try. My baby is 7 months old. For idly and dosa you can use Dal ka pani, ghee, mashed idly or dosa. Apart from these there are other recipes that you can feed your lo. And it is mentioned in the below given link. Is that OK or too much semi solI’d food being given,do I need to stop khichadi right now. Not at all, the food that you are feeding your lo is healthy and nutritious. And continue giving khichdi to your lo, as your lo grows up along with khichdi you can add finger foods when he/she attains 8+ months. You may want to alter the diner food if you feel that the little one is not digesting that well. Check our complete food chart and other recipes on khichdis that are good option for dinner for 7 months baby. Yes if your little one is 7 months, you can. Start with small portion only. Yes you can start that dear. 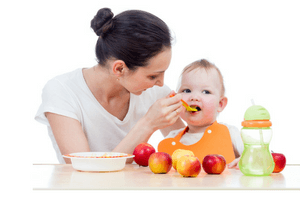 Feeding in sleeping position is not one of the best ways of feeding and you should not give semi solid or solid while baby is lying on the floor. Best is that baby is sitting upright for eating food. And while breast feeding, preferably you should be in sitting position. Hello, I have been giving cerelac to my baby who’s almost 7 months and now he doesn’t like cerelac. What are the other food options other than banana and apple. Can i give chickpea to him now?? i once tried it and he loves it. Did you try some of the food options from this food chart. Yes you can give in small portion. Hi Hema, I have heard that salt cannot be given to babies untill one year.Is it true?? I m adding salt to my baby’s diet. Yes dear, best not to add salt. It is ok, you can avoid now. Thank you so much doctor for this wonderful post. I am so much concerned about my baby’s weight. This is lifesaver for me. Already started to follow this chart and your recipes. Superb to hear this Akshata. Feels awesome. Happy Parenting. Wanted to ask that can I prepare porridge and sooji Kheer in cow milk? Also when I prepare khichdi what all vegetables can I add. My boy is 7 months old. IHe was on exclusive bf for 7 months. I have started with dal water, cerelac and banana powder. 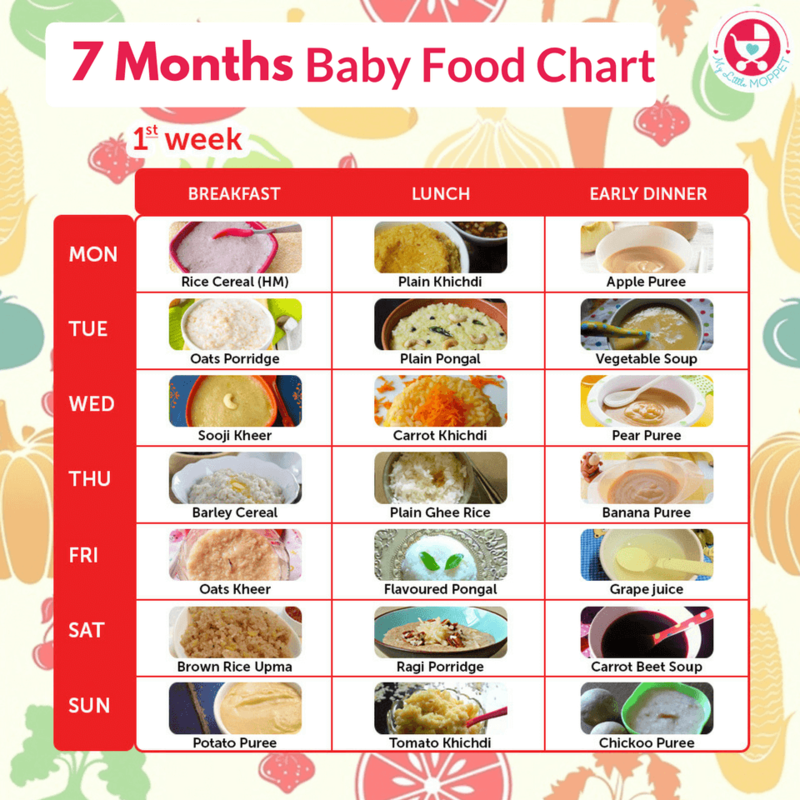 Now that I have started solids, can I directly follow this chart (for 7 month olds) or should I follow the one for a six month old? 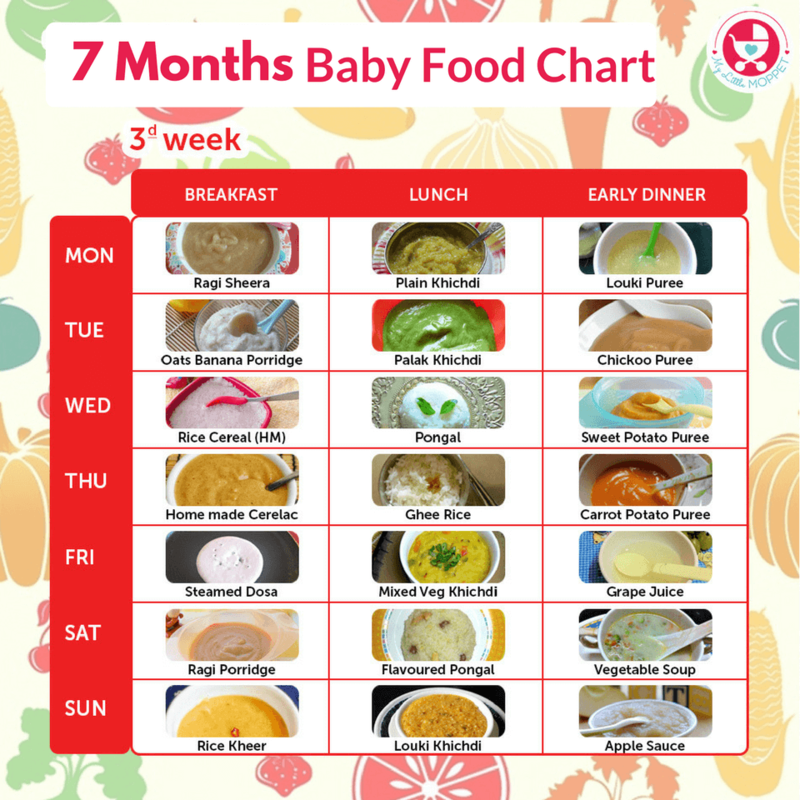 Hi Shruthi, better to start with 6th month chart as you have started solids after 7th month. You will have to get him used to purees and porridges initially. Hi Dr. Hemapriya, thank you for the detailed meal chart. My boy is seven month and a week today. Your diet plan is very useful in bringing in variety to his meals. I have a doubt regarding the iron intake. It was told to me that after six months iron rich food should be included in baby’s diet every. Which food should I be giving everyday to meet this nutritional requirement. Dear Madam,. My son is 10 months old now.I feed him rice and hone made cerelac as well as veggies,but everything needs to be ground and make thin and feed..if a little particle he swallows by mistake also he starts to vomit.I am really worried as till how long I should grind everything and feed him. Please suggest me as why he cannot eat mashed food. Thanks for the charts, will be helpful. I give cereal with fruit puree mixed to it in the night. Is it better giving just fruit purees? Hi Hema, ur website is useful for new moms. I came across ur site by the end of 7 months. So far I have introduced apple, pear, papaya, carrot, ragi, banana, chikoo, rice to my baby. Can I follow ur 7 month diet chart. If 3 day rule needs to be applied how can I I incorporate the diet u suggested. Pls reply. Thank u for ur wonderful posts. My son is 7month old if fruit purees are fed he gets cough and sputum formation what other foods tobe given instead. Which oil do u suggest for tempering??  It’s really a lovely blog for the new moms. Thank you for your time Hema. One quick question is, what should the baby be fed with during the other timings apart from your diet plan ones. Will it just be mother’s milk or formula milk alone ? By 5pm dinner is done, what should the baby be fed from them on if she feels hungry ? I am a working mom of 7 month old baby. The problem I am facing is I have just started working and baby misses breast feed at afternoon. Please advice, if diet chart needs improvement and does it meets babies requirement? Hi hema..my baby has just completed 7 months and I have started giving him suji, rice flour, boiled potato and carrots. .just wanted to ask can I give him lil bit of egg yolk along with vegetable soup.. he is not gaining weight at all I am really worried. .Please help..what should be the quantity of formula milk and how many times I should offer him..waiting for your reply. .
My lil boy is 7 monts old . He is hypoglycemic child .his growth is one moth delay because of low sugar. Doctor suggested to give him high carbo food & also add some sugar in his feed , but he doesn’t digest sugar directly. Il gave him rice-dal cereal 3 times daily with mashed banana ,apple puree, & potato (doct said give him 4 times) .I gave him total 8-9 feed daily.rest of time I gave formula , he is not on any special diet. only thing is keep his glucose level high. Mam your chart is life sever for me.but I am so confused that how can I follow the recipes from the chart. please help me. Only not start with vegetables. my lil boy is 7month &2 week old . he is hypoglycemic child. he is not on special diet. doct only suggest to give him high carbo food & even add sugar in his feed but he is not digest sugar so I am not adding it. I am so confused about his diet ,I gave him Rice Dal cereal 3 times daily at 9am ,4pm, 9pm with some time added with mashed apple, banana & potato. how can I follow your chart ? generally he dygest all food most of the food I gave him . rest of the time I fed with formula milk . I gave him total 8-9 feed daily. please help me. Hats off to you ! Really well done … I have been following your food charts for my little one n I can’t thank you enough … Great effort keep up the good work … All the best ? Hi, lovely blog..m following since the first time I visited this site. I have question though. 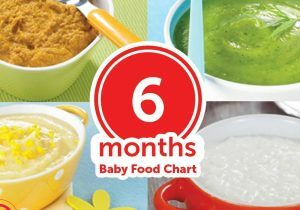 When you say 7th month food chart, does that mean 7 month completed or when baby enters in 7th month. because in 8th month chart, u mentioned when baby completes 8th month and here u mentioned when baby enters 7th month. For making home made cerelac can I use bulgur instead of wheat dalia? 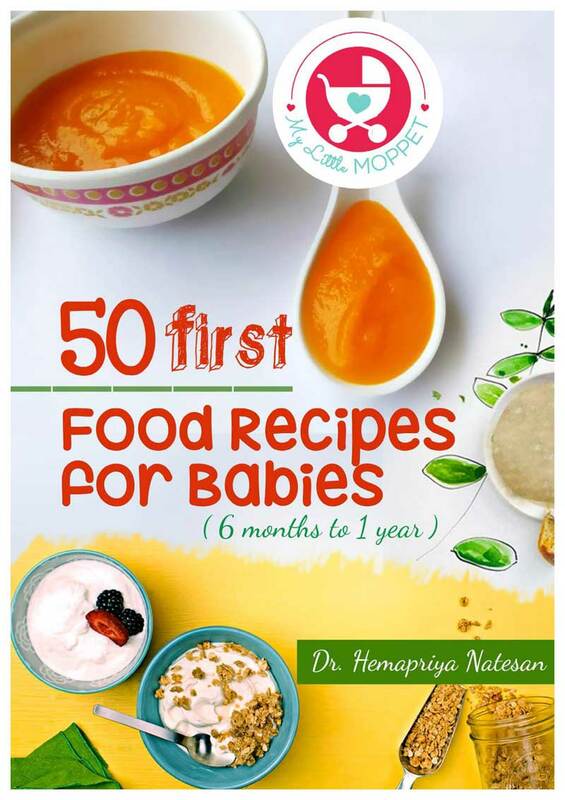 hi hema u came as a life saver for me and my baby 🙂 thank god i found this blog…my baby is 7 month old and i m following the chart its very Convenient…some food he doesn’t like such as suji, rice alone so i m trying to mix fruits and veg puree…my query was that if i buy Sathu Maavu powder or home made cerelac online is it as effective as the home made one…i don’t have much time so can’t prepare it at home. I’ve been following your diet charts for my baby. They are of great help. My baby has completed 7 months. Since the start of semi solids my baby has been suffering from bowel movements. She really has to push herself a lot to poop. My doc suggested to increase intake of water for baby as well to give fruit purees with skin of the fruit as they contain fiber. What do you suggest and how do I make apple/chickoo/pear purees with skin so that they get mashed easily. You can steam the whole fruit well and chop the into fine pieces and blend in a mixie. Can u pls share plain pongal recipe. Great information, thanks for all food charts and recipes!! Just a quick question, in 7th month food chart why have you suggested early dinner time, i.e. 5 pm? My girl will turn 7 months tomorrow, she is exclusively breast fed baby, apart from that I give her 3 times, 11 am kichadi, 5 pm fruit and 8:30-9pm rice. Is it OK to give last meal this laste? tyvm doc… jus lovd d food chart… was confused erlr.. n so much variations tht our babies ll nt b bored at all… and overall healthy recipes.. wonderful!!! Thanks a ton for this very useful website. My boy just turned 7 months and I stopped breast feeding when he was 4 months old. I’m very much worried about his health and I’ll be grateful if you would suggest me a diet plan for him. As of now he’s on formula milk, Nestum rice, mashed white rice once a day and sweet lime juice. I’m skeptical about his digestion power as he doesn’t take mother feed. Please help! 2. Stop sweet lime juice as juices have less nutritional value. 4. try to get him eat a porridge once a day, in the morning or night. Is fruit puree at night a good idea? Why have you suggested Apple/Banana/Papaya/Grape puree/juice for dinner instead of breakfast or lunch? Can we add sugar to the ragi/suji kheer? Hey..this is very informative…Thank you for blogging this one…However would appreciate if you could share the recipes.<br />Thanks once again. Thanks for dropping by Moushmi, will be updating all the recipes throughout this month…. 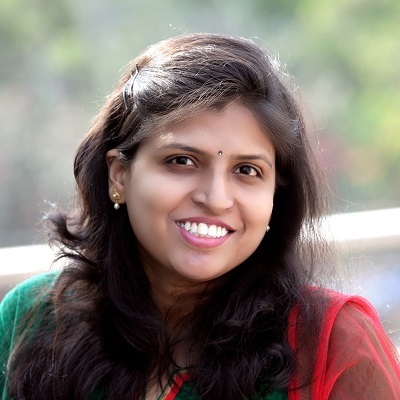 Thanks for dropping in Shraddha, my next post is the downloadable planner only….